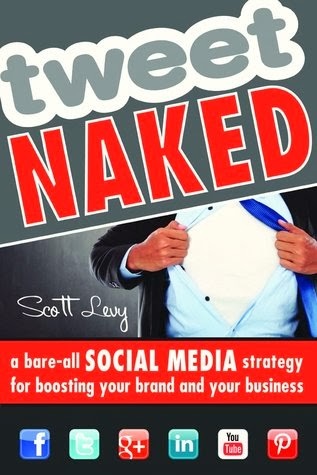 From Goodreads ~ Presenting a fresh perspective on a common challenge, author Scott Levy delivers a new answer to every business owner’s social media question - how can I make social media work for me? Levy’s solution takes a cue from another explosive media phenomenon: reality TV. Levy invites you to create the same magnetism that pulls reality TV viewers in by using the same tools: transparency, authenticity and a human element. Learn how to use social platforms such as Twitter to tactfully share, or bare, your brand, inciting consumer action. Also learn how to strip your social media strategy down to what works for your brand, exhibit transparency that engages followers on all popular social channels, and create brand consistency across all social platforms. Other topics cover engineering positive brand impacts and avoid devastating damage, using crowdsourcing and retweets, and lifting a brand from relative obscurity to significant popularity. Real-life examples relate well-known business brands such as Sharpie and Jet Blue, and personal brands such as NFL Runningback DeAngelo Williams. Discover exactly what it takes to seduce the masses and turn them from passive followers into brand champions and loyal brand buyers. I find social media and how fast it's grown fascinating. I'm on Facebook and LinkedIn. I'm on Twitter but I'm not very active. I'm obviously a blogger. I have a pro Flickr account and have loaded tons of pictures. I opened a Pinterest account (I think) but haven't really been there ... what I'm active on is time consuming enough. Transparency and authenticity - be yourself, how to be transparent, how being transparent can hurt you, etc. Building your brand - personal vs corporate, customer service and caring about people, your corporate culture, etc. Convergence strategies and your social media team - ensuring the messages on your social media platform are consistent, should you be responding 24/7, etc. Ways to engage - finding your audience, encouraging engagement, content, tips for each platform, etc. How to building a following - sharing your expertise, retweeting, how many followers should you seek, etc. Measuring and monitoring your success - metrics, conversion, return on investment, etc. I liked that there were lots of examples of things people and companies had done right but also what they had done wrong. A personal example for me are the Hot Stuffs I had bought in November. They were nasty and I blogged about it. I put the link on Twitter along with Schneiders' Twitter name. Within a week, I heard from Bonnie and got compensated with $20 coupons (compensation wasn't my intent). So I went from dissing Schneiders to blogging how much their customer service rocked. You should check out this book if you are a business owner and aren't hooked up to social media ... I'm always surprised when I come across companies that aren't. I need to get better about using Twitter.